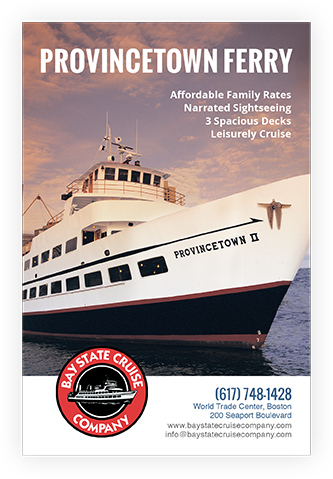 Bay State Cruises is a leading ferry company in the Boston area that provides service to Cape Cod, as well as entertainment and sightseeing cruises. 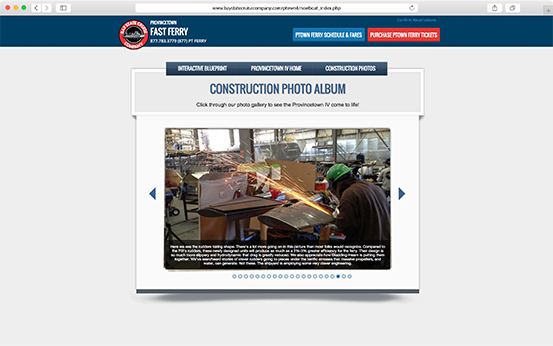 MMG produces a variety of marketing materials to promote their services. 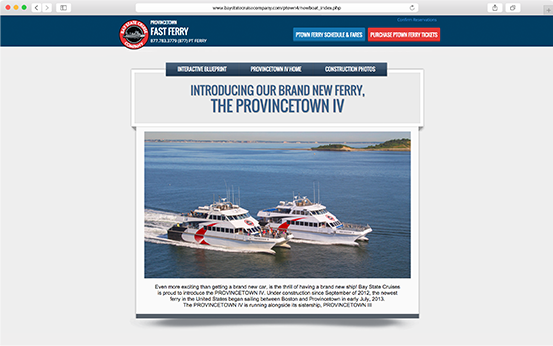 MMG designed and built the Bay State Cruises website with a focus on their core value prop – they offer the fastest and most convenient ferry service from Boston to Provincetown. 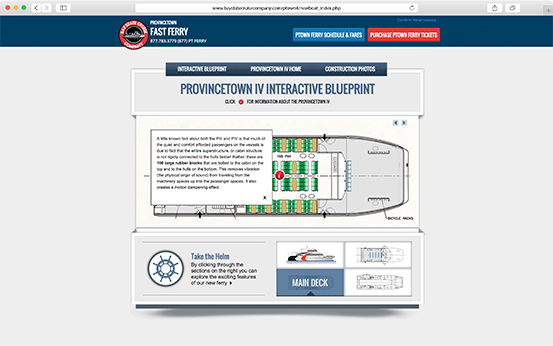 The site was built with a mobile first point of view, including making sure that it is easy to purchase tickets on your phone. 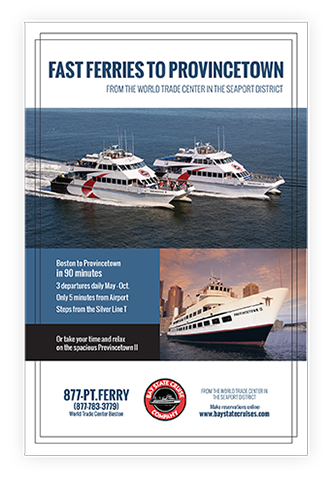 We also produce all of Bay State’s print collateral. 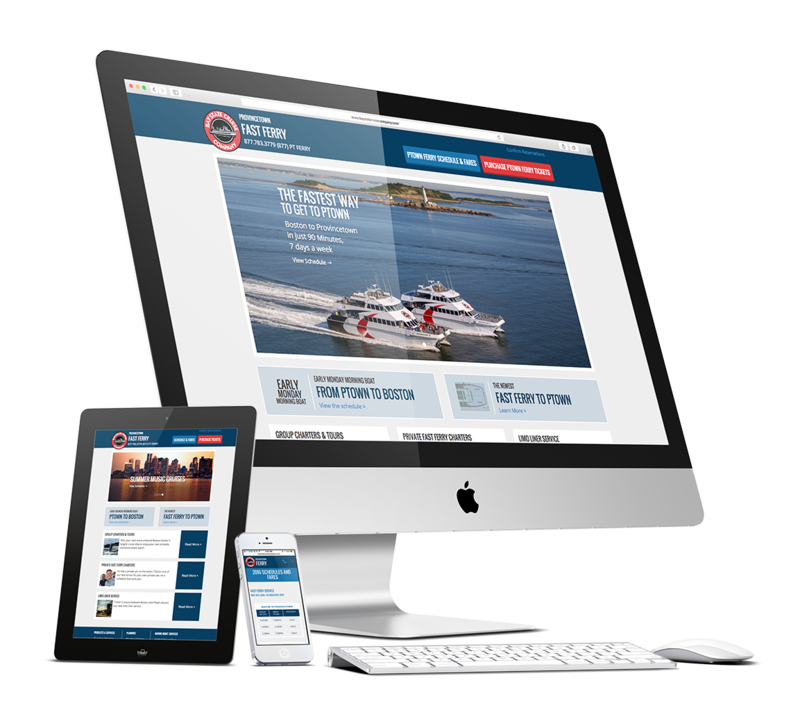 Everything including Print Ads, Billboards, Flyers and Brochures. We keep their messaging on target across media. 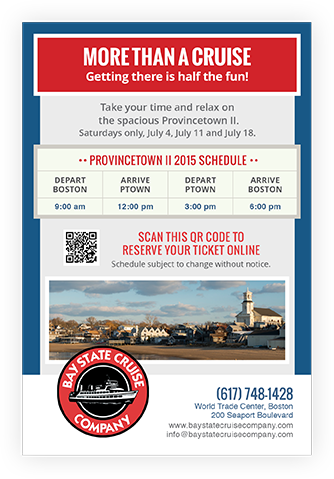 Bay State Cruises has a dedicated following and likes to show off its gear. 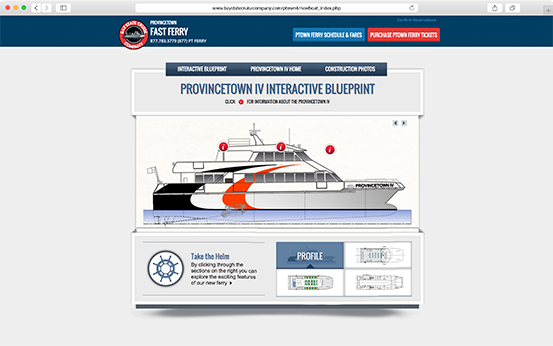 The Provincetown IV site package was designed to generate excitement about the new boat; customers can see pictures of the vessel being constructed and explore an interactive blueprint showing key features.